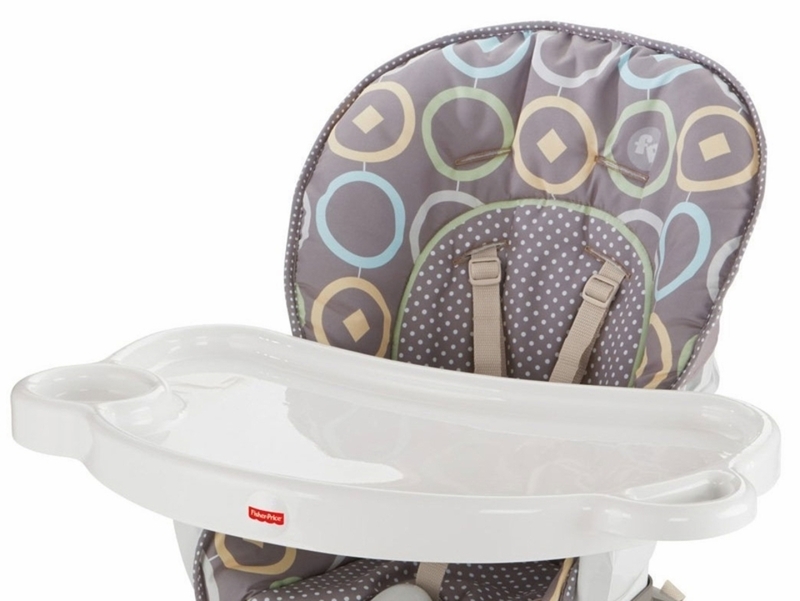 Fisher-Price® SpaceSaver High Chair straps securely to just about any kitchen or dining chair to give you and baby all the features, comfort, and convenience of a full-size high chair…in only half the space! Two height adjustments. Three recline positions. Easy one-hand tray removal. Machine-washable seat pad and 5-point restraint—and so much more! Now the Fisher-Price® SpaceSaver High Chair’s dishwasher-safe tray with built-in cup holder has a Fastfinder™ Link, so you can hang bibs, towels and toys within easy reach.. Compact size makes it perfect for use in small spaces, or on the go!